Manny and Jinkee Pacquiao, together with their five children, are currently based in Los Angeles, California for Manny's upcoming match against American welterweight titlist Adrien Broner. On Instagram, Jinkee has been giving her followers a look inside their family home in Los Angeles. The all-white modern home with its wide open spaces and ceiling-to-floor glass window pane appears to have similar design elements with the Pacquiao's Forbes mansion—including the lanai from every corner of the swimming pool. The house also has Instagram-friendly corners and spaces where Jinkee can take her OOTD shots. 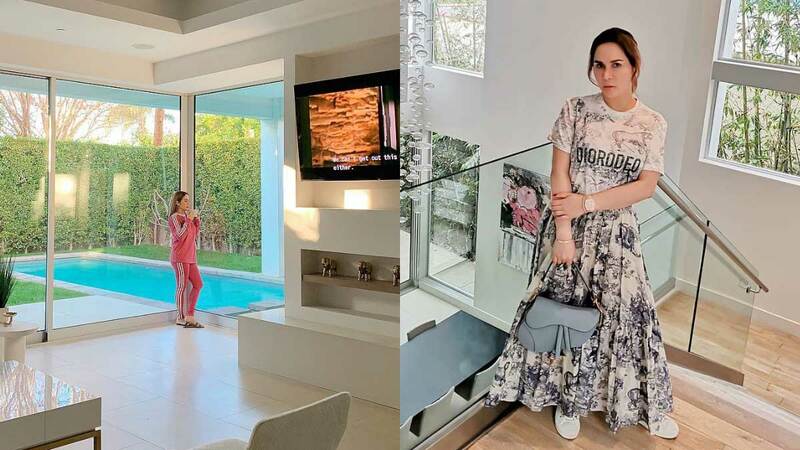 It is known that Manny owns a Beverly Hills mansion worth $12.5 million or P665 million, but it was not mentioned in any of Jinkee's posts whether this is the one or a new property.